Blue is her name and the title of the comic book. 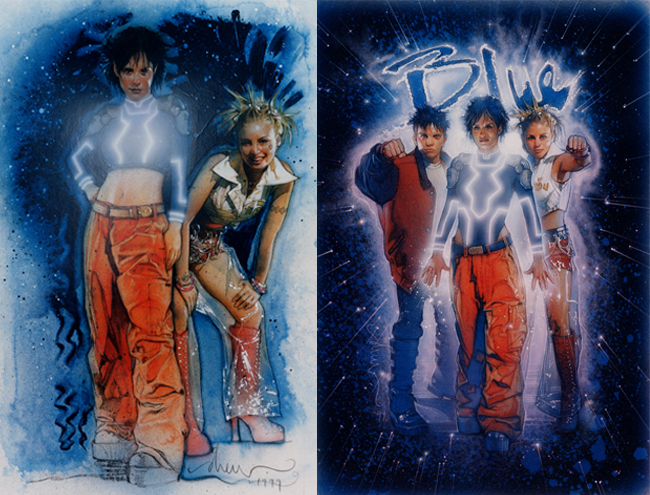 Three paintings for the comic are featured here, two covers and a special poster. Each one signed "drew" and two also dated "1999"